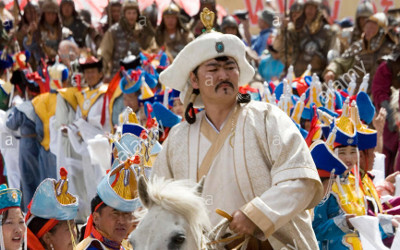 AKIPRESS.COM - The capital of the United States of America will host the Genghis Khan Parade, News.mn reported referring to the Mongolian Embassy. Genghis Khan, the founder of the Mongol Empire, and his warriors will lead the parade on 24-26 November. The event is organized to publicize achievements of the Great Warrior and to promote Mongolia abroad. Actors from Mongolia will transform into Genghis Khan himself, his warriors, his mother and even wives. In addition, an exhibition dedicated to Genghis Khan (Chinggis Khaan in Mongolian) will be presented in Washington, D.C. on 25-26 November.